Every second child in India is exposed to some form of sexual abuse. 20% children are severely sexually abused. And we are a country with 400 million children. Imagine the millions of children who are sexually abused every day! ‘Arpan’ is a registered NGO based in Mumbai and the largest in the world working on the issue of Child Sexual Abuse (CSA) with a team of dedicated and skilled professionals since the year 2006. Personal Safety Education (PSE) is Arpan’s key project and aims at providing children personal safety skills required to prevent the risk of sexual abuse. Survivors of sexual abuse are given counseling support to facilitate the healing process. ‘Arpan’ works with schools and NGO’s to make systemic level changes within the current infrastructure. The Personal Safety Education (PSE) project is currently conducted within schools, shelter homes, institutional and NGO set-ups. 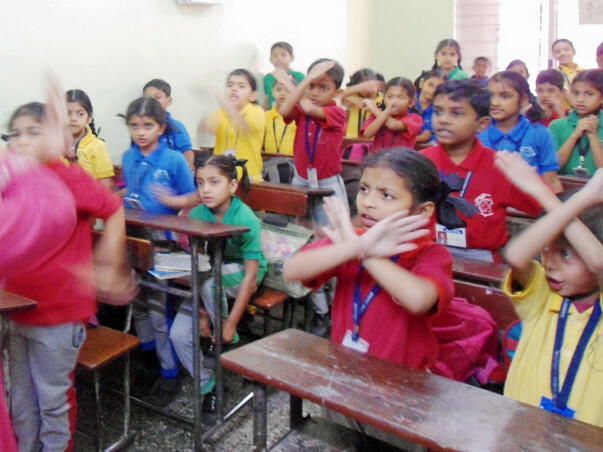 So far Arpan has directly taught over 27,000 children personal safety skills and empowered over 20,000 parents and 1500 teachers with knowledge and skills to address child sexual abuse. More than 1500 children have also been helped through counselling to overcome any negative outcomes of experiencing sexual abuse and or inappropriate behaviour. Child sexual abuse has a long lasting negative impact on the survivor. Our children deserve a joyous childhood. Help Arpan prevent child sexual abuse and heal those who’ve been affected by it. You can help make a safe haven for the future of India.